Our collection of designer pots and planters represent universal eye appeal for contemporary, traditional and transitional designs. It is also the ideal synthesis of aesthetics, easy-care and functionality. 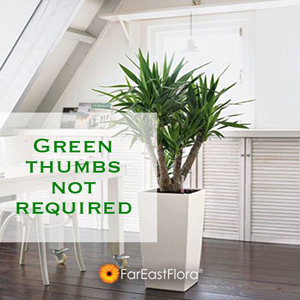 Budget priced to accommodate multiple plant container and pot choices; round, rectangular and square. An impressive display in front of commercial buildings, on decks, balconies and anywhere where plant color and beauty are required.